I've been reading your posts as you go up, and am glad to see you progressing. I don't normally respond unless there's a question I can answer or a defect report though. my short TODO list for the HAM editor is nearing completion, so I can probably get a testing release out tonight or tomorrow. I need some testing in case bugs have slipped through, since I rewrote the reference manager as mentioned. It's working okay in my tests but there's a lot of potential problems. 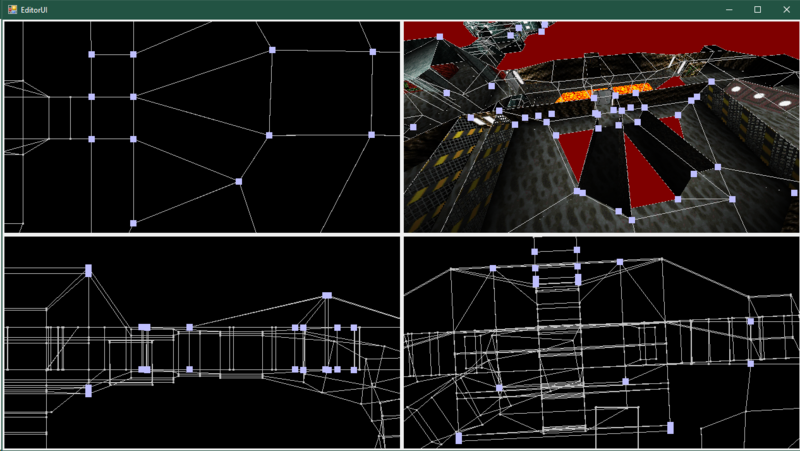 This build won't have any of the level editor stuff included at all, since that's far from complete. Please inform me if ANYTHING goes wrong, there are probably a lot of crashes and stub features that don't work yet! It's also possible some editors may not be hooked up properly after the rewrite, so if you change something and it changes back to the old value down the line, let me know too! Save your work frequently. Requires .NET Framework 4.5.2 on windows, or Mono on alternate platforms. The program is tested to work on Linux. If you get a message about "idiot salad", rest assured that's just me cursing myself for leaving a function stubbed in this release. The rewrite has left some of those behind. absolutely no clue. I recall hearing you can embed HAM files in your HOG files similar to Rebirth, so go ahead and try that. if it works, everything you can change in the file presumably should work, though in practice any given user is really only going to be changing robots, weapons, and models. The editor slowly but surely progresses. The renderer for the mine itself works well now, and I'm working on getting it dynamic for well, editing. Selections are synced across all four views, so when you click on a vert in one it's immediately highlighted in the next. At the moment, I'm not doing the clumsy feature of "marking" like the Overload editor, instead things you select are ready to be edited immediately. Hopefully tomorrow I'll actually be able to edit level geometry that's already present! adding and removing is going to be its own special form of hell, ugh. On whole I really can't stand DLE-XP and devil much anymore, so I want to write this editor, but at the same time it's kinda being a lot more involved than I could have ever imagined it being, so I hope I can keep on it without burning out like crazy like I always do. I hate that, ugh. I'm real shocked no one seems to want to post any answers in my thread about custom Descent levels. Also, InsanityBringer, great job on this editor. Edit: Descent levels, not Doom. Doh. I'd advise being patient, it's a slow community for sure. also, go play Entropy 2: Vengeance. I promise you won't regret it. (03-24-2019, 05:42 PM)InsanityBringer Wrote: I'd advise being patient, it's a slow community for sure. Are there any Descent equivalents to doomworld's /idgames for custom levels, besides http://www.enspiar.com/dmdb/index.php ? There's no way to search that site by type or rating. It's a little annoying.